100% polyester. Ultra-soft, natural feel, wicks sweat away from body. 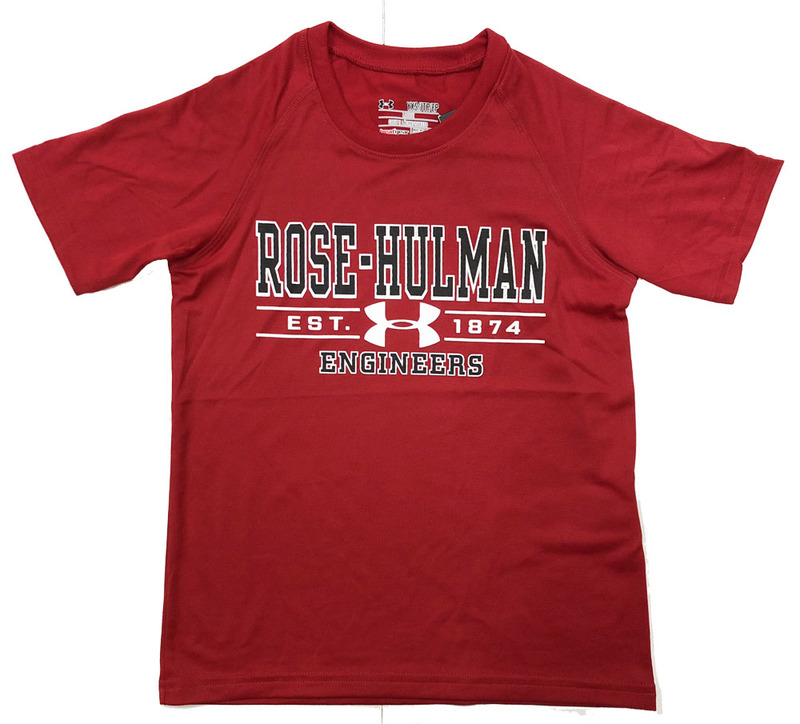 Imprinted "Rose-Hulman" over "EST. 1874" over "Engineers"
Please select option for UA Imprinted Youth T-Shirt.